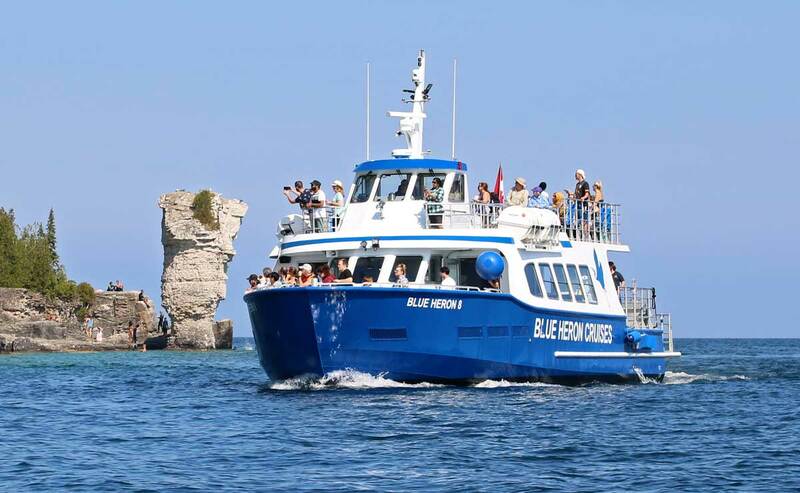 Blue Heron Cruises works with Parks Canada to take campers to Flowerpot Island. Only Jet Boats transport campers with their gear. Campers are permitted to bring a reasonable amount of luggage aboard the Jet Boats. Excess luggage may be subject to an additional charge and will be determined on a case by case basis at the absolute discretion of Blue Heron Company staff. We do not transport campers to Flowerpot Island after the Monday of Labour Day Weekend. All campers must purchase their tickets over the phone or in person at our ticket office. A valid Parks Canada camping permit must be presented to our sales staff and / or boat crew. No cruise tickets will be provided without presentation of a valid camping permit. The National Park visitor fee and camping permit fee are NOT included in the Blue Heron Company ticket price. While delays in the scheduled pick-up time are rare, campers need to be prepared with sufficient food and water in the event of cancelled sailings due to poor weather conditions. 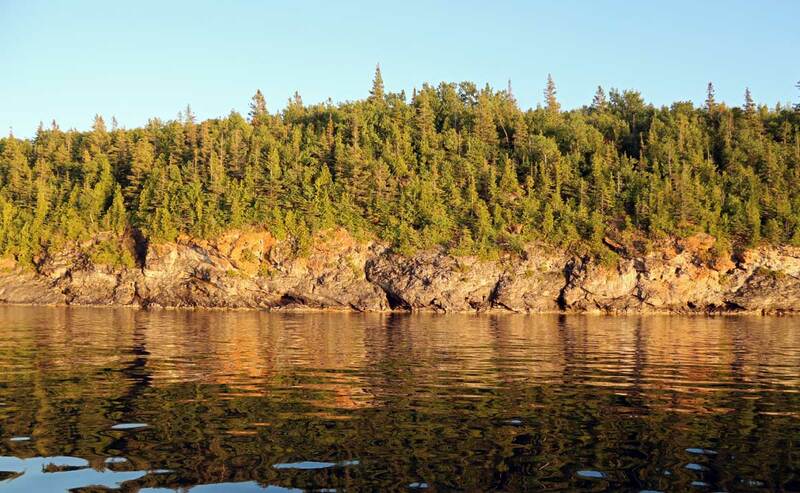 If, due to low water levels and / or unfavourable wind conditions, passengers are not dropped at the main dock at Beachy Cove, they may be dropped at a portable dock at another location on Flowerpot Island. The portable dock locations vary. These drop-off locations may be rocky and / or uneven. These alternative drop-off locations are NOT adjacent to the camping area. Canoes and kayaks are not permitted on the Jet Boats. We reserve the right to cancel at any time.